When it comes to fitting door locks, there are quite a few options available, each of which will depend on the style of door as well as its location. Rim locks are a very traditional looking choice and are often seen on older style housing. A rim lock is basically an item that fits onto the outside of a door, as opposed to a mortice lock, where their mechanism fits invisibly, inside the door frame itself. These require a set of door handles, or knobs, to operate the mechanism. 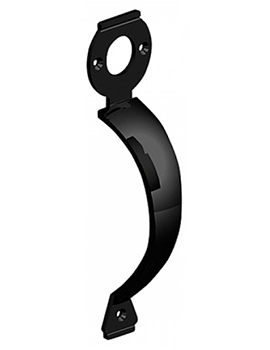 At Buildworld we offer a range of Rim Locks. Explore our range and buy the right one that suits your requirement. The main situation where the use of rim locks would be appropriate are where mortice locks simply won’t fit. Some older doors may be far too thin to hold an internal lock comfortably and securely, so this style is offered as a practical alternative, mounted on the outside of the door. 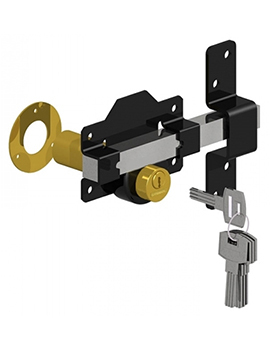 Just like a mortice lock, these are operated by the use of a set of door knobs or handles, but it is important to double check that the chosen set is compatible with this style of lock. Rim locks have also become very popular when used to retain the look of older properties. These locks provide a very traditional appearance with the chunkier mechanism offering a visual focal point, instead of one that looks more modern in appearance. There are a number of different styles available on our site, each giving a slightly different depth and size, depending on the desired appearance. Chrome, black and even polished brass finishes can be used to enhance the surrounding location. One point to note with this style of lock is that it can be removed fairly easily. As it mounts externally to the door, the screws and fittings are often in plain sight and fully accessible. This means it would not be suitable for providing a secure location in an external area. Concealed fittings would be a better option in this case, and insurance documents should be checked, to make sure they offer cover where used. 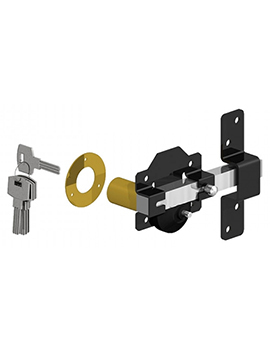 The vast majority of these locks are suitable for either left, or right sided application and can be used for garden sheds, gates, and even bathrooms. These are not usually used on front doors, without additional security, such a deadbolts, as they are so easily removed. If using a rim lock with a fire door, please always check that the lock is suitable for use, before purchase.